While they often may share similar purposes, there is no denying that boxing gyms each have their own special aura. In Las Vegas, the city regarded as the Fight Capitol of the World, it’s not surprising to see new facilities opening up on a steady basis, but I’ve noticed that City Athletic Boxing in West Las Vegas gained and instant buzz upon it’s Grand Opening earlier this year. Former fighter Armin Van Damme had a simple vision in mind when he envisioned the gym, as his intentions were are still to cater to everyday people who are after a great workout instead of gunning for a prize fight. That philosophy has seen the gym flourish in its opening months and there is now a pretty diverse crowd in the building, with lightweight contender Lydell Rhodes (23-0, 11 KO’s) having made City Athletic Boxing his new home, amongst other pros. 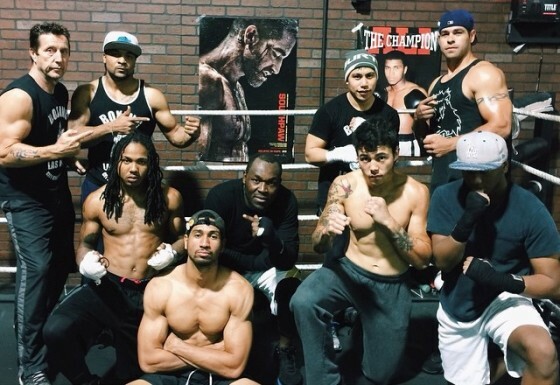 Other sightings from top professionals have seen WBA junior welterweight champion Jessie Vargas and recently-crowned WBC super middleweight champion Badou Jack pay visits to the gym. Stay tuned to Hustle Boss in the coming months for much more on all that is taking place within the doors of City Athletic Boxing and check below for early video highlights from the gym.